On Wednesday, May 23, join Kegler Brown for a Global Fluency Training session. This well-regarded, informative half-day session put on by the Columbus Council of World Affairs will help develop cross-cultural competencies for executives and professionals who interact frequently with individuals of different cultural backgrounds. Brad Gosche, Vice President, Education & Communications for CCWA, will provide you with a comprehensive framework for understanding how other cultures differ in order to create a sustainable cross-cultural acumen. Beginning with a general overview of cultural theory and examples from featured countries, Brad will get in-depth with examples of how each culture handles specific situations related to doing business. 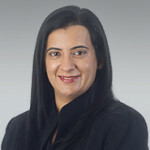 Kegler Brown’s Global Business practice co-chair, Vinita Mehra will join Brad for the India portion of the seminar. In addition to being born and raised in Mumbai, Vinita travels to India regularly to meet with clients. She will provide current examples of, and a unique and personal perspective on, business culture in India. A light breakfast and boxed lunch will be available to all attendees. We hope you can attend, as this session is beneficial for both experienced and inexperienced professionals, and will provide valuable cultural information for working successfully across cultures. Please RSVP by Wednesday, May 16, by clicking the button below or by contacting Korri Titus at [email protected] or (614) 255-5515. Due to limited seating, we suggest sending your response as soon as possible.